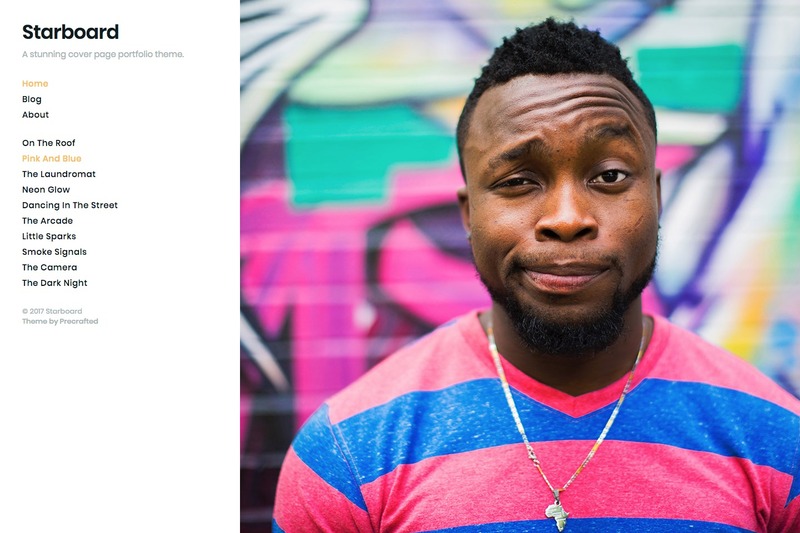 Starboard – A stunning cover page portfolio theme. A stunning cover page portfolio theme. With interactive hover navigation, it’s perfect for showing off your best work. 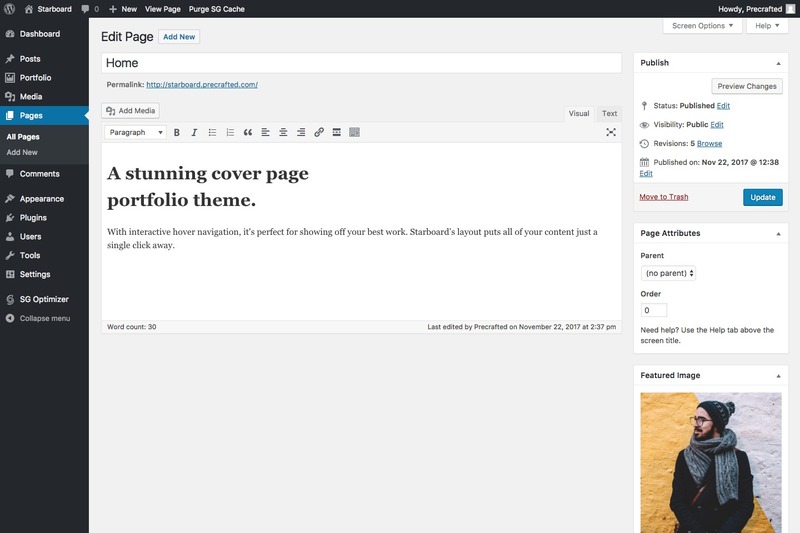 Starboard’s layout puts all of your content just a single click away.